Registration is by invitation only, and is on a first come first serve basis. We will have a 100 person tournament this year, so please register early. Foursomes - reserved only for Sponsors of Silver or higher. Diamond Plus - Major event coverage includes prominent signage at the event and on the course, bold highlighted ad coverage in two editions of The Vancouver Sun, coverage on our website, and complimentary foursome golf registration..
Diamond - Major event coverage includes prominent signage at the event and on the course, bold highlighted ad coverage in two editions of The Vancouver Sun, coverage on our website, and 2 complimentary golf registrations. 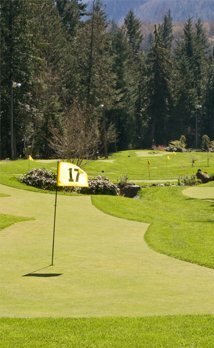 Platinum – Event coverage includes prominent signage at event and on course, bold highlighted ad coverage in two editions of The Vancouver Sun, coverage on website, and 1 complimentary golf registration. Double Gold – Large format sign at event, Ad coverage in 2 editions of The Vancouver Sun, coverage on web site and sign on specific hole. Gold – Ad coverage in 2 editions of The Vancouver Sun, coverage on web site, and sign on specific hole. Silver - Sign on a specific hole.